What Is The Best Gaming Laptop For 2013? 2013 isn’t over yet, but with Intel’s 4th-gen Core processors and Nvidia’s GTX 700-series already out, it looks like the hardware gamers care about won’t see any major upgrades until after the holidays. 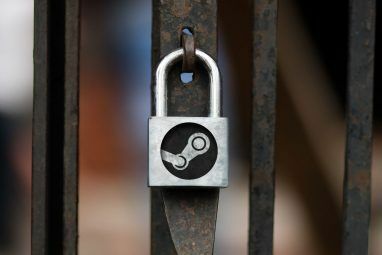 Anyone looking at a laptop gaming powerhouse will find that now is a great time to buy, and some sweet deals are likely to appear over the next few months. You might be wondering, then, what laptop is best. That’s a difficult question. Processors and GPUs have become much more efficient over the last few years, and that’s made gaming hardware available in a wider range of systems, at a vast range of prices. Still, there are some laptops that stand out. The ASUS Republic Of Gamers laptops have been strong value leaders since their introduction about five years ago, and the G750 is no exception. Built with the latest 4th-gen Intel Core processors, and boasting Nvidia 700-series graphics, this laptop is equipped to handle serious gaming. Entry-level models equip the GTX 765M, while the high-end version boasts the GTX 770M. There’s more to this laptop than the internals, however. The G750 boasts a decent keyboard and touchpad, along with a subtle matte black chassis, making it better suited for everyday use than most. 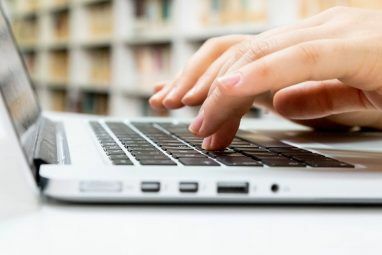 And, despite its size and power, most versions provide four to five hours of light-duty battery life 20 Ways To Increase Laptop's Battery Life 20 Ways To Increase Laptop's Battery Life Read More . Prices start at about $1,400 for the base version and rise to $1,900 for high-end models. Though certainly not cheap, these prices are generally below equivalent competitors, making ASUS’ laptops a good value. Many small gaming laptops have hit the market over the last two years, but most haven’t been worth the money. They tend to be either under-powered, over-priced, or both, making 15.6” laptops a better choice. Alienware’s M14x has been the rare exception. Starting at $1,199 with a Core i7 dual-core and Nvidia GT 750M GPU, even the most basic model has sufficient power to handle games on the system’s 1366×768 panel. Upgraded models offer a 1080p display, quad-core processors and Nvidia GTX 765M graphics. Since the M14x is small, it’s much easier to carry and use as an everyday laptop, making it a great choice for students. Light-duty battery life comes in at around five hours,and the keyboard is respectable, though not great, for a gaming laptop. The same can’t be said about the touchpad; an external mouse is preferable. Better known for its gaming mice Razer Naga, Logitech G600 MMO Gaming Mice Review and Giveaway Razer Naga, Logitech G600 MMO Gaming Mice Review and Giveaway Next to a good keyboard, a mouse is one of the most important tools in a PC gamer's toolbox. For some genres, a mouse is even more important than a keyboard. After all, it allows... Read More and keyboards, Razer has begun to enter the laptop market, as well. The company’s first shot was the original Blade, a system that was thin and fast but also drastically overpriced. In the middle of 2013 the company updated the Blade, making it both faster and more affordable. The new version comes in two flavors, the Blade and the Blade Pro. Both offer a 4th-gen Intel quad-core processor, Nvidia GTX 675M graphics and eight gigs of RAM. The main difference is display size; the Blade has a 14-inch 1600×900 display while the Pro has a 17.3” 1080p screen. The Pro also includes Razer’s unique LED-backlit customizable keys, which are located in the numpad’s position. Only hard drive size varies, with the smallest 128GB Blade model selling for $1,799, and the Blade Pro starting at $2,299. That’s a lot, but the systems justify their price with a profile that’s barely more than 16mm thick and battery life that’s competitive with many mainstream laptops. Both Blades are a good choice for gamers who frequently travel or attend LAN parties. While gaming laptops are thinner and more capable than ever before, price is still a concern for many buyers. A typical rig sells for around $1,500, which is almost three times the average transaction price of a laptop sold in the United States. In other words, most people just can’t afford to game. That’s where Lenovo’s IdeaPad Y500 comes in. This laptop can be purchased for $849, yet is equipped with Nvidia GT 650M dual graphics What Is SLI & How Can It Improve Gaming Performance? What Is SLI & How Can It Improve Gaming Performance? Sometimes a niche term is taken for granted. We have some such terms in the world of computing hardware, and one of them is SLI. It’s been around for so long that geeks take it... Read More and an Intel dual-core processor. Spend $100 more and you can upgrade to a quad. Sure, this isn’t the fastest system on this list, nor the most aesthetically pleasing. But it is fast enough to handle any game on the market at 1080p and medium detail, and many games will play at high or even maximum settings. There’s no better choice for gamers who can’t spend more than a grand. Most of the gaming laptops on this list have received a recommendation because of their value, portability, everyday usability, or all three. But there are gamers who simply want the most powerful gaming laptop 10 Ways to Improve Gaming Performance on Your Laptop 10 Ways to Improve Gaming Performance on Your Laptop Want improved laptop gaming performance? 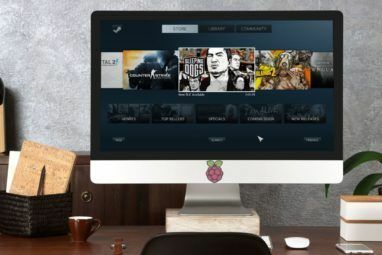 These tips will ensure your laptop can easily run the games you want to play. Read More they can afford. If you’re among them, you’ll love the M18x. This massive 18-inch laptop offers, even in its most affordable $2,099 configuration, a quad-core processor and dual Nvidia GTX 765M graphics. Spend more and you can upgrade to the GTX 770M, and in turn boast of owning one of the fastest gaming laptops in existence. All models have a beautiful 1080p display, and battery life is surprisingly adequate because of the laptop’s massive 86Wh battery. When configured for maximum performance the M18x can soar over $3,000, so this is hardly the budget pick. But this is the laptop to buy if speed is your priority. Conclusion: What’s the best laptop for 2013, overall? All of the laptops on this list are great and, for the right buyer, will be an excellent purchase. Yet we must pick one ultimate winner, a laptop that provides the right combination of performance, price and every-day practicality. 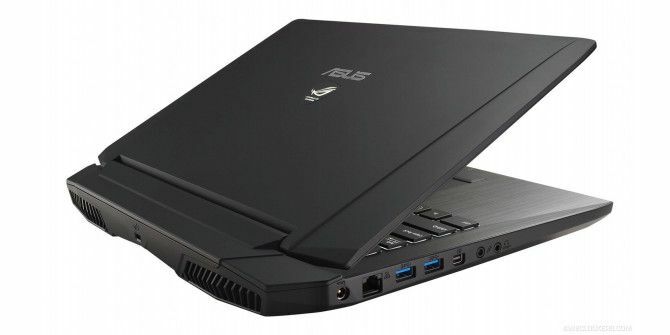 Our choice is the ASUS G750. Though available for just $1,399, this system is equipped to run with competitors sold for hundreds more, and it’s also easy to use as an everyday desktop replacement. The display, keyboard, touchpad and battery life are all better than average for this category. We can’t see why gamers should spend more on alternatives that are, at best, only on par. What’s your favorite gaming laptop? Let us know in the comments. You should replace Y500 with Y510p [ 4th Gen i7 with Nvidia GT750M/ GT755M ]. I have to agree with aki here. The Y510p certainly spikes my curiosity and it's not terribly expensive. Asus G70 would be my gaming laptop of choice for value. Also, I will probably be the only person to think this, but I like a laptop to be a fair bit chunky and have a big hinge like the g70. I don't want a laptop that is as thin as a piece of paper, but thats just me. Also, agreeing with the comments here that I could never, ever replace a desktop with a laptop. Yes these days laptops are incredibly powerful but if nothing else, I prefer the experience of a computer being at a desktop with a screen that stays where it is. The best gaming laptop is the worst gaming PC. This might be the worst comparison i have seen in a while. It is rather. The best gaming laptops are the middle weight gaming pc. Only problem is that they are heavily.over priced considering the specs if you were to get it for a desktop, and spec wise they get outdated too fast. With almost no options to update it with. Gaming laptops are more or less the worst of all possible worlds. Battery life makes them essentially useless as portable devices. The tremendous heat output by any worthwhile graphics hardware means that the machine is absolutely born to die. They're heavy. They're hot. They're loud. They're ridiculously expensive. I understand that there's a market for that sort of thing, but in my opinion they're a huge waste of money since the stuff that makes them modestly able to play games is the same stuff that's going to make them unreliable and only portable in the most technical sense. You missed the MSI GT series. But yeah ASUS has the best Gaming Laptops in terms of money value. In my opinion the best choice may not be the most well known it is Sager note book computers. Their prices are very competitive and the most compelling reason to consider their laptops are for the following reasons. All of their products can be extensively customized if you wish or simply purchased with the stock configuration. This includes things that for me are reasons that I would never by an Asus, Ailenware or any other normal big name OEM laptop. You can select the type of monitor, high gloss or one with a matt finish. You even have a selection as to the OS that is installed so if you for what ever reason do not like Windows 8 you can specify that any version of Windows 7 be pre installed. you have a selection of available graphics cards and many of their laptops are available to be set up with SLI. Most of their laptops you can choose from a list of available processors, the amount of memory, the type and number of hard drives or ssd's that are installed, and if you want them configured in a raid configuration. Pretty much every aspect of their laptops can be modified prior to purchase right down to if you want premium thermal paste used on the heat sinks . If I had the funds to purchase a gaming laptop I would not consider any laptop other than a Sager. This sounds alot like something we have here in norway. My guess is that most countries have their own netshop version of this. Great quality, and customization for a pretty reasonable prize. It is the only way to compete with the big companies, but these sites normally only reach the national base of buyers. Not the international. Now I'm only making assumptions, but net shops/ companies like this would probably be more known if my assumptions were false. Boutique builders like XoticPC customize ASUS laptops just like the Sagers. Your reasons for never buying an ASUS are based on incorrect information. I have purchased highly customized ASUS ROG laptops for years FTW. I sill believe that what I had to say is correct. The laptop builders you spoke of are not Asus, if you purchase from them you are buying an XoticPC not an Asus. Yes they may use Asus laptops to customize but you cannot get the Company Asus to customize one. You have to take what ever they have pre built and will not even offer any OS choices other than Windows 8, I know because I contacted them about this. Sager does not make their laptops either, they buy Clevo laptops, who is a laptop manufacturer in Taiwan and customize them. I just went to XoticPC's website and according to their information they call themselves then #1 reseller of Sager Laptops world wide with no mention of Asus. Bit surprised not to see any MSI model mentioned here. Perhaps the ASUS has outpaced it in the more wallet-friendly category. MSI's quality is kinda in the toilet. They offer a good performance value, but their laptops look like they were put together in a shed down the street. Since ASUS also offers a good performance value and high build quality, MSI laptops just can't compete. "and it’s also easy to use as an everyday desktop replacement." I'll never agree with this statement. I just will never replace a desktop with a laptop. To me, they are totally different machines with different purposes. A few months ago I bought the Lenovo Y500 and I'm happy with my choise. It is great value for the price, the two 650s (according to benchmarks) are actually sligthly better than a 670, and I can play BF3 with high settings (except shadows and SSAA), 1080p and a stable 50 fps!